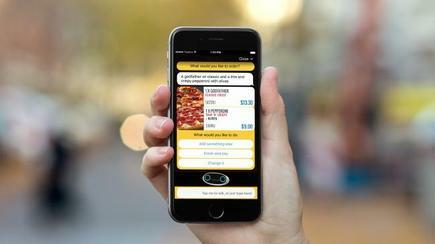 In March this year, the pizza chain rolled out a new Siri-style ‘voice ordering’ system developed by speech recognition firm, Nuance. The software sits alongside Dominos' virtual assistant ‘the Dru Assist’, and claims to make ordering more efficient and accurate for customers. Spirits brand, Patron Tequila, which is owned by billionaire, John Paul DeJoria, recently partnered with Amazon’s Alexa to bring its 'Cocktail Lab' recipe library to consumers via voice activation. Patrón additionally also introduced its 'Bot-Tender,' an AI-enabled chatbot that suggests cocktail ideas to customers on Twitter Direct Message, Facebook Messenger and website. More recently, the brand revealed a new AR-enabled app to show virtually how its tequilas are made. “I went to CES in Las Vegas and saw how Patron Tequila is creating content to move the brand away from its ‘served as a shot’ positioning to increase its usage in the home,” Publicis Media’s head of content for A/NZ, Patrick Whitnall, said. “They created a ‘Bot-tender’ for voice devices, which suggests recipes and creations based on local trends, insights and personal preferences – and it can even get the ingredients delivered to your door. In August, British online supermarket brand, Ocado, released its app for Amazon’s Alexa to enable customers to add groceries to their shopping list by voice command. The new app adds to Ocado’s various existing point-of-purchase options, including its iOS mobile app, watchOS app, Android mobile app and of course directly online via Ocado’s website. 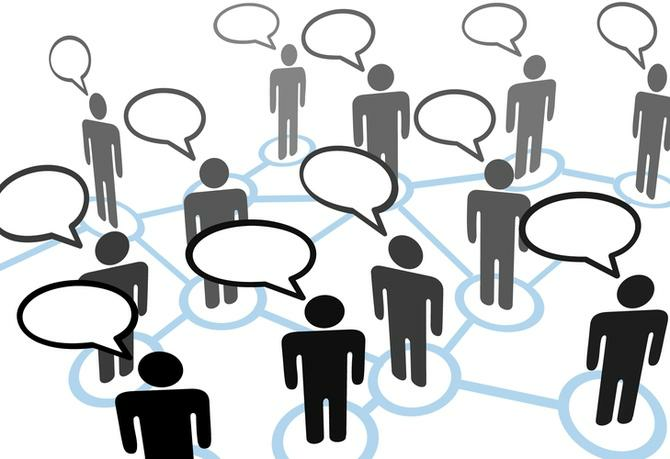 A/NZ country manager of software company AppDynamics, Simon Horrocks said the app is part of fascinating developments we’re now seeing in the way that brands are engaging with customers via voice assistants. “The fact that a major online grocery retailer like Ocado has just entered into an agreement with Amazon that will see its customers be able to order through Alexa is really interesting, because Ocado, who could now be considered a competitor to Amazon, will be competing for grocery shoppers on Amazon’s own platform,” he said. 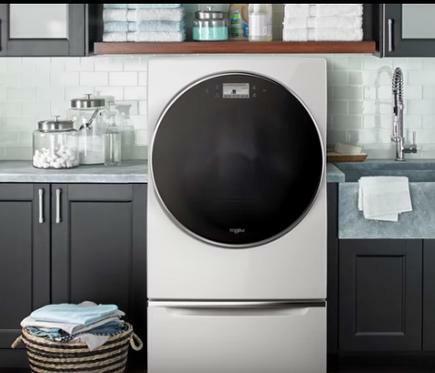 Earlier this year, Whirlpool announced a new collaboration with Amazon’s Alexa that will see home appliances operate by voice control. Appliances will be designed to respond to voice requests for tasks like pausing and starting a load of laundry, asking for the time remaining on a wash cycle, adjusting the cooking mode on a smart oven, and turning on maximum cool settings for refrigerators among other commands. “In the future it won’t just be our phones or voice-tech devices talking back to us,” BMF head of digital and direct strategy, Irina Hayward, said. “Amazon’s Alexa has teamed up with Whirlpool to create voice-activated, smart home appliances such as ovens and washing machines that can be programmed with a simple word command. So we’re just at the start of an even more connected future. Last year, PayPal announced an update on its app on the iPhone and iPad to support a new payment transactions via Siri, allowing users to send and request money in 30 countries around the world with voice. With a simple voice command like ‘send $50 to my sister using PayPal’, Siri connects with the PayPal service and pulls up a custom sheet with details of your transaction before you authorise it. “Burger King capitalised on Google Home devices through a TV ad by prompting the phrase ‘OK Google, what is the Whopper burger?’ which set off home devices and drove organic online social activity at a ridiculous scale,” Hayward said. 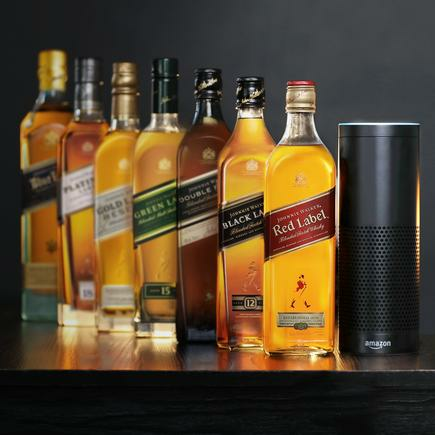 In September, whisky giant, Johnnie Walker, announced a collaboration with Amazon Alexa to create the new ‘Johnnie Walker Skill,’ that guides participants through personalised tastings, recommends blends, shares anecdotes from the Johnnie Walker history, provides practical whisky tips and recommends unique cocktail recipes, which can be downloaded electronically in the Amazon app to re-create at home. Following voice activated Uber requested via Siri, which allows users to request a ride and receive real-time updates, the hire car company now offers users to book an Uber via Alexa and Google Home. In fact, one of the first integrations announced with Google Home was Uber, meaning you can use your new smart connected speaker to call a car by simply asking for one.